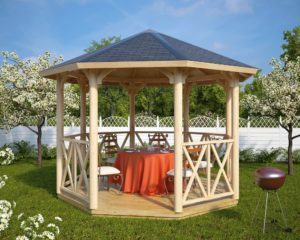 Our wooden gazebos are not the cheapest ones you can find in Spain, because they are superb quality products made of the finest Nordic wood. 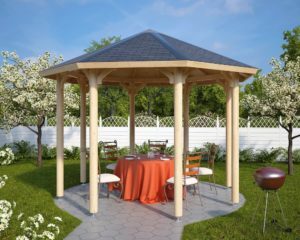 All of them have a 5-year factory guarantee and they are very quick and easy to install. 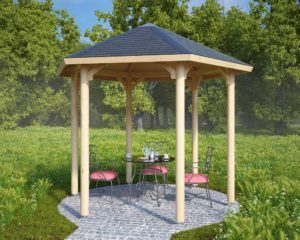 Hexagonal gazebos come with six prefabricated roof panels with factory installed roofing shingles. 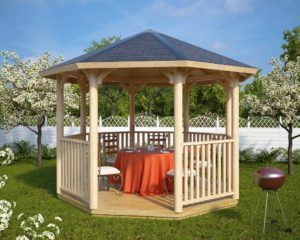 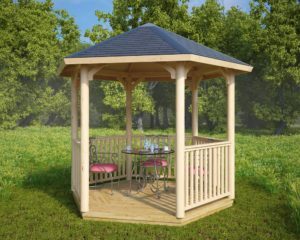 Octagonal gazebos have eight roof panels as well as sturdy 120mm upright posts and other wooden components, metal fixings, detailed assembly manual and gazebo plans. 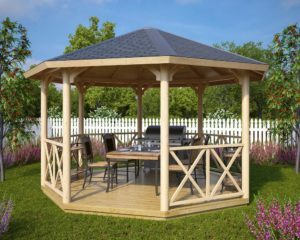 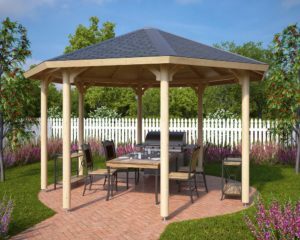 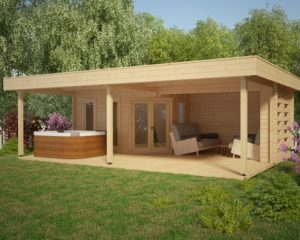 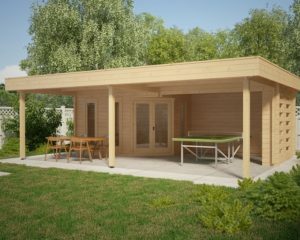 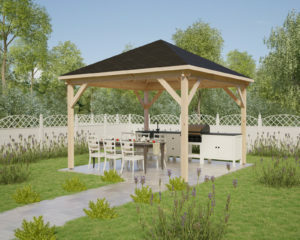 If you are looking for an elegant BBQ canopy, shelter for your hot tub or for a great place for Alfresco dining in your garden, then our superb quality wooden gazebos are worth considering.